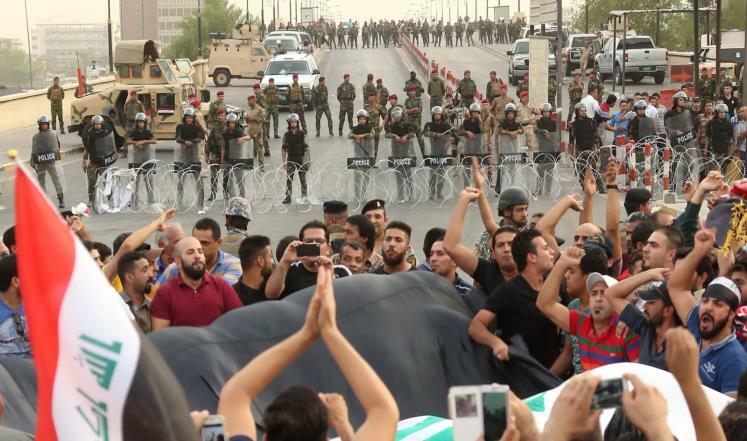 In Friday, August 28, 2015, demonstrators in South and Central Iraq (those part of Arab Iraq that are not under “Islamic State” control) held their 5th consecutive “Friday protests” against government corruption, lack of basic services and the sectarian structure of power sharing. On Saturday, August 29, “You Stink” movement held its biggest demonstration yet in “Martyrs’ Square” in the middle of Beirut – undeterred by the violent response of the security forces to its previous mostly-peaceful protest, raising the political barrier of its slogans from concentrating on the rubbish collection crisis to outright calls for toppling the sectarian regime and the establishment of a secular state. 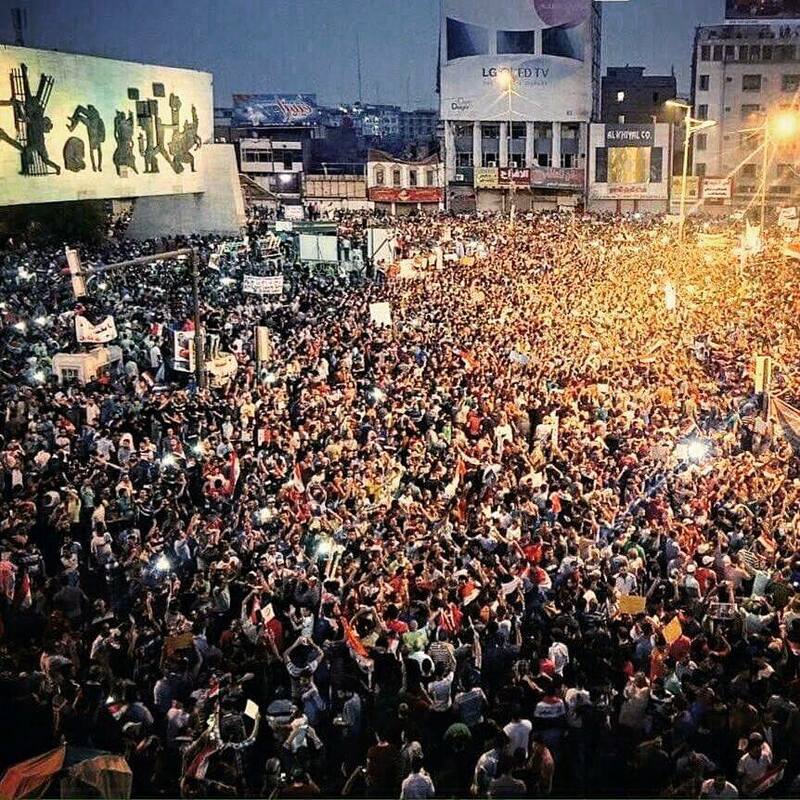 This new wave of demonstrations is a good time to look back and see where the Arab Spring have brought us so far almost five years after its eruption. After such a long period of heroic struggle, we should already understand why it is not going away in spite of the enormously murderous and destructive force of the counter-revolution. I was not surprised when the Arab Spring broke out at the beginning of 2011. It was already in the air for 10 years at least. 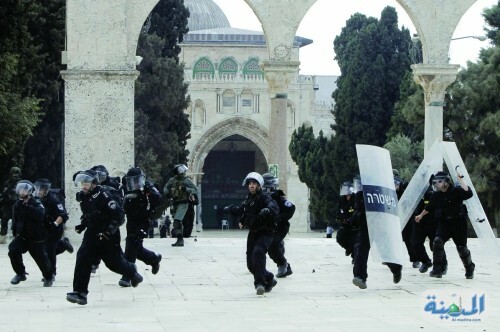 How long could more than 300 million Arabs be robbed, humiliated, oppressed and kept quite under Imperialist hegemony, Zionist colonialism and local Arab tyrants? While the rest of the world was changing fast, the system of control in the Arab World froze in the seventies of the previous century and stayed still for forty years. It was getting more and more out of step with the population that became ever more educated and sophisticated, with the economy that was modernizing, with the spirit of the time that speaks about democracy and human rights. All the oil money was used to defend the interests of ever smaller elites, while for the Western powers the defense of Zionist Racism, and the West’s immense profits from the robbery of the region, were justifying limitless oppression of the local masses. So, back in the winter and spring of 2011, when the masses of protesters poured to the streets and squares of Tunisia, Egypt, Libya, Syria, Bahrain and Yemen, it was only natural. But, after almost five years of bloody battles, when I see today the new wave of peaceful mass struggles evolving in Lebanon and Iraq, I’m filled with new admiration to the Arab masses and new hope and optimism about the fate of the revolution. The masses that fill now the squares of Beirut and of many cities in Southern and Central Iraq are challenging the local regimes, not in the name of one interest group or one party, not asking for the promotion of any specific religion or race, but speak in the name of The People, all the people, for their right to have a regime that will serve the people and not any special interest or group. They do it through mass grass-root organizations, challenging the political elites of all sorts, forcing a new political agenda. In Beirut they do it after a painful 15-years civil war, Israeli occupation and bombardment campaigns and decades of oppression by the Syrian regime. Even as more than a million refugees from the Syrian civil war compromise almost a quarter of the country’s population, they don’t blame the refugees but their own government for their hardship – a good lesson for people in many richer countries with a fraction of the refugees burden. In Iraq people are going out against their government just as their country is torn apart by a bloody civil war. Fighting the savagery of the “Islamic State” can’t be justification for corruption and sectarianism. Building a new political order that will evenly serve all the Iraqi people is the key to any real solution. When Ben Ali, Tunisia’s strongman, fled the country (on January 14, 2011) after 28 days of mass protests, we celebrated all over the region. When on February 11, after just 18 days of multi-million strong demonstrations, Egypt’s dictator Mubarak was removed from power – it looked like the inevitable march of the revolution from victory to victory. But this romantic naivety of the first days of the revolution was not a good guide for things to come. It reminds me of John Reed’s book “Ten Days that Shook the World”, about the October 1917 communist revolution in Russia. Some romantic leftists thought it proves that the greatest revolution in modern history happened with almost no blood spilled. This a-historic optimism ignores the years of civil war that followed before the soviets really ruled Russia (and only a small fraction of the working class survived this period as workers), and decades of internal and external struggles later on. Naturally, after the initial advance of the Arab Spring, other dictators were alerted and decided to fight back, with different levels of success. The bloodiest of them all, Bashar Al-Assad, inflicted such a high toll in the blood of the Syrian people and the flattening down of Syria’s cities that other peoples in the region congratulated themselves for not starting a revolution. And where the revolution “won” – it became clear that toppling the head of the regime doesn’t guarantee real change. The ruling classes and the reactionary establishment regrouped and reorganized to restore their rule and take revenge. In Egypt we see the full rage of the counter-revolution unleashed since the coup led by General As-Sisi, the local Pinochet. But even in Tunisia, where a new more-or-less democratic order was established, the forces of the old regime and the bourgeois elite regrouped and regained much of their previous power. The counter revolutionary surge doesn’t mean that the old order was restored. There are good reasons to believe that it will never be. While the revolution, by wrecking established regimes, created some level of chaos, the counter revolution – by fighting and annihilating the people – created much deeper chaos. Now the contest is not only bare struggle for power but also about who can provide a new basis for the development of the country and the livelihood of the people. In August 2014 the Libya Dawn coalition of militias took control of the capital Tripoli after a long power struggle that led to political paralysis. It was a response to the coup attempt of reactionary forces led by retired general and US agent Khalifa Haftar. In September 2014 Ansar Allah, better known as “Houthis”, a militia from Northern Yemen, took control of the capital Sana’a. In both cases it was popular militias with deep roots in some parts of the country and more direct relations with the masses that out-powered and overthrew old elites. Similarly you can see the relative success of Kurdish forces in Northern Iraq and Syria’s North-East. They proved more capable than most other local forces to defend and regain territory in the face of the “Islamic State”, due to their links with and obligations toward a section of the population. It would be too easy to pretend that the self-proclaimed “Islamic State” (IS) is some sort of invasion by aliens, foreign intervention, imperialist plot or a stooge of the Syrian or Turkish regimes. Yes, many sides try to use IS to beat their enemies, or use the horror that it spreads to justify their own atrocities. But, in my view, we should admit that the “Islamic State” is basically a case of “the revolution going crazy” under the harsh conditions of bloody conflict. This is not a new phenomenon in history. It happened with the Khmer Rouge in Cambodia, which started as a pretty traditional communist party, but later came to the idea that Cambodia’s cities are all corrupt and the population should return to its original pure way of life in the villages. The attempt to implement this “purist” ideology claimed millions of Cambodian lives. As long as the local corrupt ruling classes are confronting any demand of the masses by bloody oppression they push more and more people to look for the most extreme ways to fight back. In Iraq, where IS was born, the protest of the (Sunni) people of North-West Iraq started with months of peaceful demonstration, asking for equality and civil rights. Only after the army was sent in, and towns were put under military siege and bombed, IS extremism acquired its mass appeal. In Syria, when IS first took power in Raqqa, unsympathetic observers mentioned that it was less corrupt and restored some level of basic services which other militias failed to provide. The inflation of IS power, in Syria and Iraq and all over the region, in spite of having no direct allies and arousing antagonism from all directions, proves the huge vacuum that is still dominating the regions politics under the supposedly strong all-oppressive regimes and the slow progress of the reformist and revolutionary forces. At the same time as the atrocities of IS against Women, Minorities and whoever happen to disobey it should be rejected on principle, it is the task of the sane revolutionaries everywhere to prove that they can wage and win the battle for democracy and care for the basic needs of the masses at the same time. After five years of the Arab Spring, the center of the political agenda is shifting from the toppling of old powers to the character of the new regime that should be established. 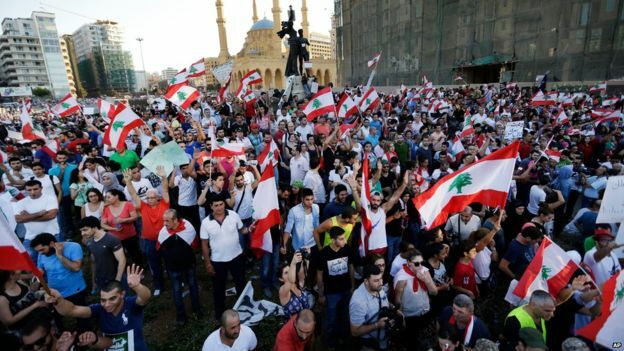 The new mass movements in Iraq and Lebanon are giving good signals. The old regimes survive by incitement for Fitna, sectarian hatred and conflict. Now it is the task of the popular forces of the Arab Spring to rebuild the region on new foundations centered on the dignity and needs of the people. Only a pluralist democracy that will respects everybody’s Human Rights, traditions and beliefs can allow the people of the region, with all their ethnic, national and religious diversity, to live peacefully together. At the same time, the social content of the new regime is just as essential, as it should provide and care for the welfare of all sections of the population on equal grounds. This is the answer to the constant effort of the reactionary forces from all sides to draw the region into a bloody conflict between Shias and Sunnis, Iran and Saudi Arabia. This is the right answer to the religious and ethnic persecutions by the IS. More than ever, the program of One Democratic State in Palestine is an integral part of the vital Revolutionary Democratic Agenda for the whole region. It is more than a month that there was no new post on Free Haifa. The main culprits are General Sisi, his likes and their lackeys. As I stated while starting this blog, and in the later “About” page, the main goal of Free Haifa was to help bring the voice and thinking of the Arab Spring to the International Left. Now these hopeful days looks like belonging to a remote period. The Arab Spring started as a wide democratic and social awakening of the masses. If its Islamic, Leftist and Liberal components could unite under one democratic umbrella, if they would find a way to work together for national independence, economic development and a more just society, no force could stop them. But much before the victory of the democratic revolution was guaranteed – internal divisions eroded the forces of this revolution. Much of the blame for this lies with the weakness and disorientation of the local and international left. It started with Syria, where much of the left defended the “progressive” Assad tyranny. But it became a disaster with the support that many leftists and liberals in Egypt gave to the outwardly reactionary coup. How can we speak about progressive principles or plan a strategy for the left to lead the revolution when we hardly hear any complaint about the most severe tightening of the Siege on Gaza? But not all my excuses are for bad reasons. In the Munich conference on June/July 2012 we started a renewed effort to build a movement for the return of the Palestinian Refugees and for One Democratic State in the whole of Palestine. Free Haifa naturally was used as a platform to publish some of first statements of the movement. Those statements had to be published also in Arabic and Hebrew – so soon Haifa Al-Hura حيفا الحرة and Haifa Ha-Hofshit חיפה החופשית started to compete for my time with Free Haifa. As the ODS movement in Palestine started to take an organizational form, it was not appropriate for it any more to be a guest in Free Haifa. As a modest start it built its own blogging-tent – ODS Yaffa. ODS statements in all three languages went there and I was left with even less time and missing an important component of my three blogs. As every institution of the left, Free Haifa could not avoid its internal arguments about principles, tactics and morality. On one side it tries to follow the scientific and serious tradition, concentrating on long and thoughtful articles. On the other side it aspires to respond to the needs of the masses for some good humor, mud throwing, intriguing and short posts. In the end of the argument we decided to separate as friends and the lighter materials have found their own home in Free Haifa Extra. This does not mean that we don’t need a serious discussion on the left about analysis and strategies. If your Arabic is not good enough yet, I promise to do my best to keep you posted in Free Haifa in English as well – but maybe not as frequently as I used to. If you have any idea where the real discussions of the international left is taking place in these days – and how we can get more involved to share views over borders and oceans – please leave a note. Syria – How did it all Begin? In the last days of June, we spent some days in Paris, hearing about the Syrian Revolution from newly exiled Syrian activists. One goal was to bring a closer picture of the revolution in Free Haifa. Since then the Egyptian Coup interrupted, causing some unexpected setback (to the Arab Spring, not only to my writing schedule). Now I return to the original plan with the first post… So how did the Syrian Revolution begin? To understand the revolution you should start with the regime that preceded it. We didn’t have much time to talk about it, neither much will. One simple fact that stunned Iris was that most of the young activists that we spoke with didn’t take part in any political activity before the revolution – it was not even considered an option. People that were active speak about a nation with 17 different security services, every one of them spying on everyone else and can arrest you at will. They speak about a nation of 22 million people where about one million of them are police informants, of children induced to report about their parents. They speak about parents that, when their children are arrested, will not dare even to go to ask about their whereabouts. We heard about leaders of the communist party that were held in prison without trial for more than 14 years, only to be sentenced later to 15 years imprisonment. The charge was specially selected to insult: opposition to socialism – as if to show that the Ba’ath regime was socialist while the communists where anti-socialist. The memory of the Hama Massacre of February 1982 remains an open wound in the consciousness of the people. It seems the regime was cynically building its reputation of ruthlessness, showing the people its readiness to perform unlimited indiscriminate atrocities, in order to keep the traditionally proud and politicized Syrian people at bay. It is impossible to speak about the Assads’ regime without mentioning their cynical exploitation of Syria’s sectarian divide. The Alawites were traditionally poor and oppressed. But the Assads didn’t really want them to develop and integrate – but cynically used them as a tool for oppression. They would not allow economic development or good education in Alawite villages – so that the only root out of poverty for poor Alawite youth will be to join the army or the different security services and become a tool of terror against the masses in the mostly Sunni cities. All this can be summarized by the eternal words of Ghawar, the popular hero of the satirist Duraid Lahham. Asked about the state of his homeland, Ghawar says all is well; it is missing nothing except of a bit of “Karameh” (dignity). The legitimacy of the regime was farther eroded by “economic reform”. If in the past major parts of the economy were held by the state sector, and were supposed to serve the whole society, reform gave a free hand to the private sector. This privatization under the shadow of an absolute dictatorship, managed as a family business, caused crony Capitalism to be the rule. Now, as the whole system was openly directed toward the enrichment of a small circle of “insiders”, resentment of chronic poverty, anger at eroding social rights and striving for dignity, freedom and democracy all became one. We were told about the case of some engineering student. As one remnant of the socialist system, the state was obliged to hire all engineering graduates. Then, as part of the “reform”, this obligation also evaporated. Some engineering students wanted to write a petition asking not to abolish this social right. Even before they really wrote the petition their plot was exposed and the leaders of the ring were sentenced to several years in prison. Under the burden of the cannibalism of the security services, taking their share of any legitimate business, eroding social rights and incompetence of uncontrolled bureaucracy, the economy was stumbling. Bright new products from modernizing Turkey just over the border were everywhere while local manufacturing was closing. People were yearning for change but didn’t believe it could happen in Syria. There is no doubt that the Syrian revolution was a direct result of the revolutionary fever that caught the stagnating Arab World in the beginning of 2011. But it wasn’t immediate. The regime itself, thinking politics, initially regarded the Arab Spring as an insurrection of the masses against the old reactionary stooges of Western Imperialism. They were socially isolated, had no public legitimacy, were exposed and detested for their servitude to foreign interests. How could you compare those with the Syrian “progressive”, “resistance” regime, with a coalition of patriotic parties and mass organizations to mobilize support and patriotic credibility won by its backing to Hezbollah in its resistance to Israeli occupation of Lebanon and its refusal to sign capitulation treaties with Israel? Most Syrian people, as far as we could understand, didn’t give much thought to what seemed to them as hollow propaganda in the service of people that were enriching themselves at their expense and stamping on their dignity. But they still didn’t want to start the revolution – they simply knew what kind of regime they have and expected any mass uprising to be drawn in rivers of blood. But still, out of the virtual world, came the call for “revolution” on March 15, 2011. Like previous calls since the beginning of 2011, participation was limited and the protesters were outnumbered by security personnel and vigilant pro-regime gangs. Daraa is a typical poor Syrian province, stretching south of Damascus and down to the Jordanian border. It is characterized by its conservative society, where tribal ties still play an important role. Its economy was also retarded, highly dependent on the government. It was badly affected by the reform, the contraction of the state sector and erosion of social rights. When some children in Daraa wrote on their school’s walls the slogan of the Arab Spring: “A-Sha’ab Yurid Iskat A-Nezam” (The people want to topple the regime) – the regime didn’t take it as a joke. There were investigations and some 15 kids, aged 9 to 15, were arrested. The words were calculated to humiliate, to sustain the myth that you shouldn’t ask about your children when they are arrested. They touched on the very sense of “Karameh” (dignity) that is at the center of being human. The security chief in Daraa at the time was a man called “’Atef Najib”, a cousin of President Bashar. Belonging to the close circle of Assad loyalists his powers were unlimited. Some of our interviewees are still convinced that if the regime would have disciplined him after the incident the revolution could still be avoided. But they say that Bashar was more concerned not to hurt the Mafia solidarity and sense of impunity of his ruling circle than he was afraid to raise the furor of the people. The poor people of Daraa came out in their masses to save their children and their dignity. For the first time the solidarity of the old traditional society proved stronger than the atomization of society by fear and corruption. Confronted by mass demonstrations the regime responded with live ammunition. They were martyrs, mass funerals and more mass demonstrations. The masses in other cities came out in solidarity with the people of Daraa. By the end of March the Syrian Revolution was under way in full steam. What can be learnt from this beginning? Hearing the real stories how thing unfolded gives you a very different perspective of what the revolution is about, its strengths and its weaknesses. It is basically revolution of the Syrian society, pulling the thrones of tyranny from its suffering body. It is a revolution that starts with the defense of human dignity and its main aim is to put an end to humiliation. This explains why the revolution is strongest in the countryside (the “reaf”), where it is easier to unite society against the intrusive state apparatus. It also explains the weakness of the political opposition, which is mainly based in the big cities and whose main support is the educated elite. After the walls of terror and fear were broken, there is no way that the Syrian people will give up and put their fate again tin the hands of their torturers. For another, more funny story about the first days of the Syrian Revolution you can click here to Free Haifa Extra. The New York Times later published an interview with one of the kids from Der’aa.